2,Auto loop play when power on. 7,Advertising spots and Playlist function is optional. 9,Support 1080p Full HD Display. 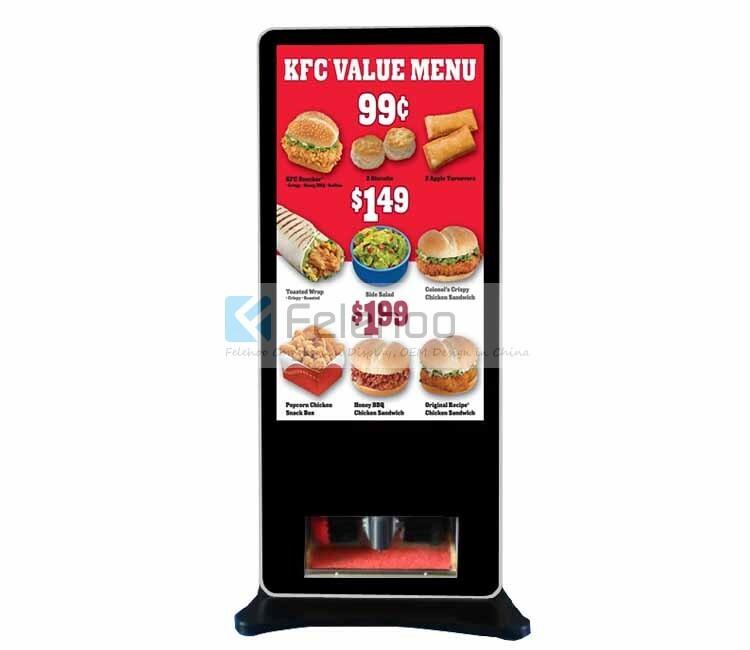 55 inch LCD Shoe Polishing Advertising Machine(FH-KU550CSPM) is a LCD Display with an integral media player, Media files are stored and played back from USB or SD memory card.When you boot the machine up, it would auto read those files(video/ photo)from memory card simple one. Plug-and-Play, that is, If you plug memory card into the card slot, the screen will auto display video or photo. DIY Boot Screen User can use any JPG picture files as boot screen,or even video capture. This item is optional. What is LCD Shoe Polishing Machine? 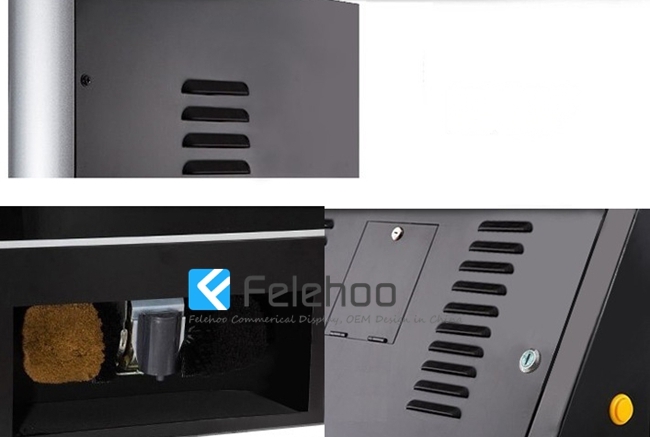 LCD Shoe Polishing Machine is a form of electronic display that shows information,advertising and other message. 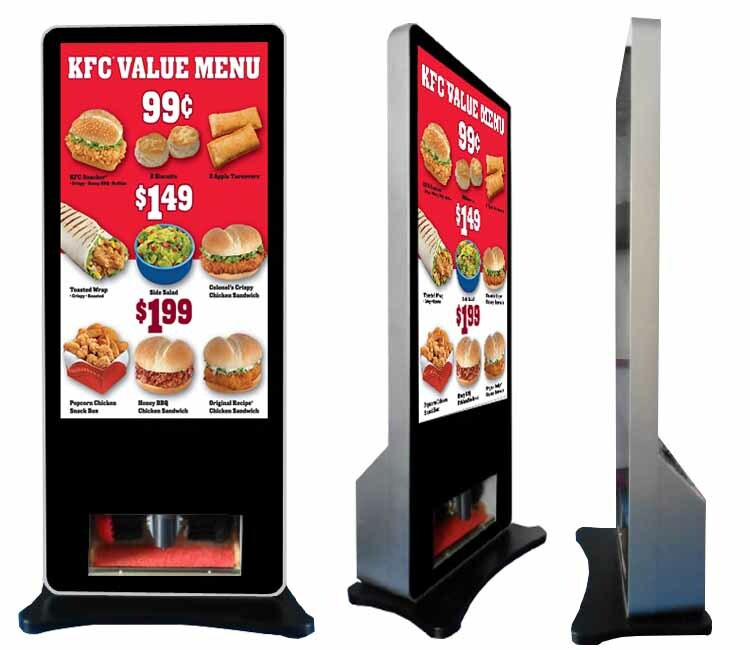 Advertising Signs(such as LCD, LED) can be found in public and private environments,such as retail stores and corporate buildings. What benefits you get of using LCD Shoe Polishing Machine as marketing tools ? 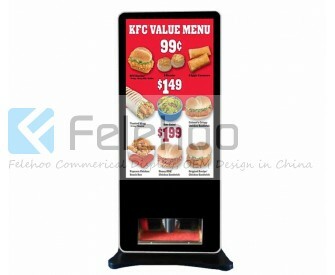 1, Use LCD Shoe Polishing Machine to your advantage by having your customers promote your company. 6,Use your LCD Shoe Polishing Machine as advertising to promote brands and drive new additional revenues for your business. LCD Shoe Polishing Machine is the way forward for customer communications in the 21st Century. LCD Shoe Polishing Machine allow you to get your message to your customers at exactly the point where they are most likely to make purchasing decisions, at precisely the most effective time in their shopping experience. So your profits go up as your costs go down! And LCD Shoe Polishing Machine can make your communications more efficient, deliver a return on investment and make for a better customer experience. Where standing LCD Shoe Polishing Machine can be used? 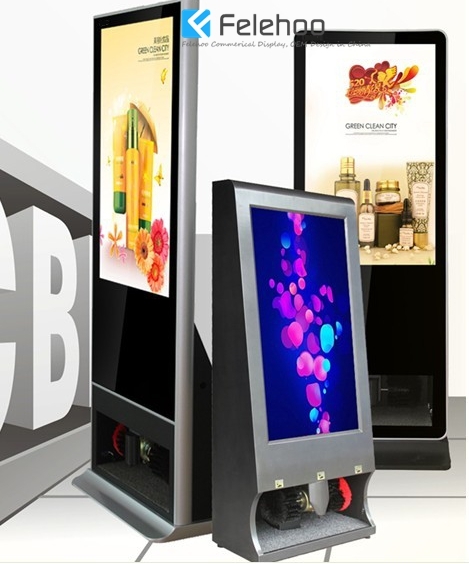 LCD Shoe Polishing Machine are perfect digital advertising display at retail points and public locations where you want to display your digital advertisements repeatedly, and don’t require changing / updating your advertisements content frequently. Which size of standing LCD Shoe Polishing Machine do you have? At the moment, The screen size range of LCD Shoe Polishing Machine player includes: 42"/46"/55". 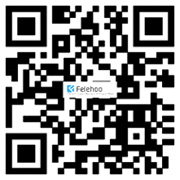 Why choose felehoo LCD Shoe Polishing Machine ?